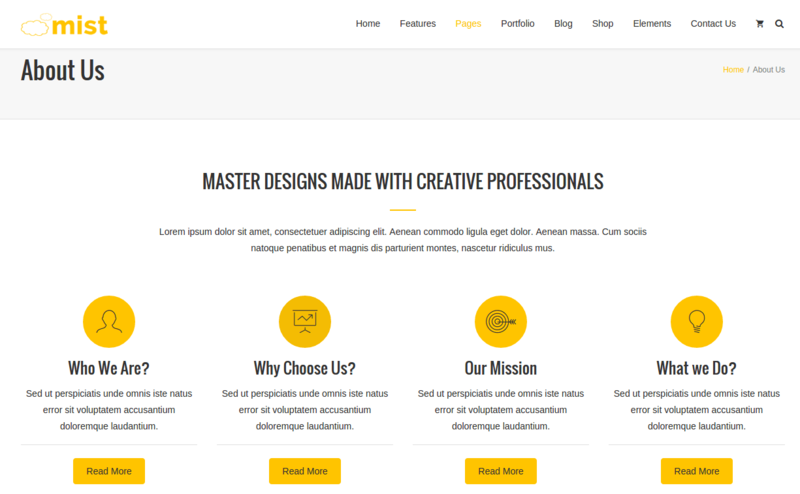 Mist is a Multipurpose WordPress theme as it is used to build any kind of websites users want to design. It comes with tons of advanced features which would be loved by the customers. It is suitable for creating Business websites, Education, Agency, Sports, Magazine, Wedding, Restaurant, Attorney, Spa, Medical, Portfolio, Blog, Shop, Architect, Charity, University, Fashion, Band, App Showcase, Studio, Insurance, Nonprofit organization, Saloon, Bakery, Freelancer or Resume etc. The theme gives the best result and fulfills all the user requirements as unlimited possibilities are there to support any kind of website. The theme uses responsive design which looks great on every devices. 50+ unique layouts are supported, use of important plugin namely visual composer which helps to create the unique pages with simple drag and drop, ultimate addons, revolution slider to showcase all the products through slideshow, awesome support through support desk, online documents and video tutorials for easy understanding. This single theme provides you with tons of features and variations, comes with 60+ demos which will wow you! you can select any of the demo you like. It provides you with various fantastic forms custom bootsrap form, gravity form and contact form. Event calendar support so that you can create/schedule an event for future use. 200+ icons, advanced header which can also be customized, awesome portfolio options, integration of google fonts, Custom Widgets (Twitter, Video, Flickr, Instagram, Facebook, Mailchimp), Cross-browser compatibility: Chrome, FireFox, Safari, Opera, IE9+, Post format support : Standard Posts, Video Posts, Gallery Posts, Music Posts, Link Posts, Quote Posts, Image Posts etc. 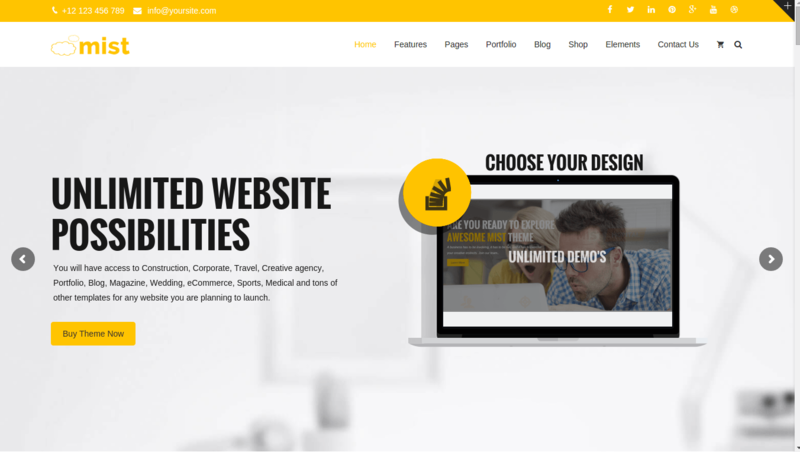 This theme you can use for multipurpose website, This theme provides with many plugins and also different options that will indeed ease your task. It is all in one theme with the great support from plenty of features as well as with outstanding support from support team.